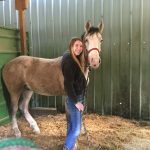 Sterling is a stunning Cold Springs long yearling ready to take on the world! He enjoys a good scratch, leads, ties, walks over obstacles and is always up for learning more! He is a thinker, and very brave and sweet; he tries so hard! 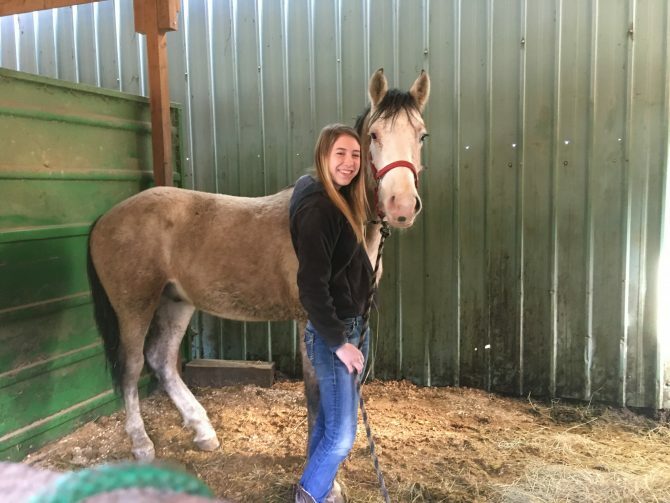 By the end of this competition, my goal is for Sterling to become a nice, reliable, and trying horse, and to get him a well deserved forever home! Sterling has been doing really well! He picks up his feet, is catchable, loads great in the trailer, and is learning to show more affection towards me. He’s been very slow and steady at making progress, but is really coming around! He is very curious, brave, and loves water! My next goals for him are to teach basic ground driving, perfect his lounging skills, and work towards making a more trusting and affectionate horse.